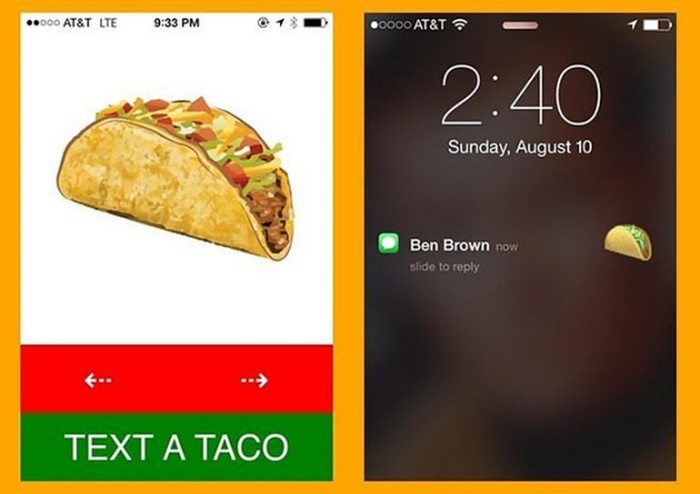 Text a taco and make someone hungry! The Taco Text app was created for one reason and one reason only: to make people all over the world hungry for tacos. The app’s developers, XOXCO, must be Taco Bell’s favorite people as of the moment. Who knows how many people have been driven to seek out their nearest Taco Bell to satisfy their sudden text-induced taco cravings? Mmm, tacos. You can download the app from the iTunes App Store.